Not recent development, but still a noteworthy landmark in Prospect Heights South. I don't remember the house in Sophie's Choice . The Bacon family held on to the house until 1956, when it passed out of the family. The Bacon artifacts ended up in a Boston museum. The house would have continued to be an interesting and eclectic piece of the PPS landscape, with only a few knowing about its history or quirks, until it became forever immortalized by movie fans as the “Sophie’s Choice House”, the 1982 movie starring Meryl Streep, Kevin Kline and Peter MacNicol. Only the exterior of the house was featured in this adaptation of the William Styron novel about a Jewish Holocaust survivor and her pink boardinghouse in Brooklyn, but it was enough to make the house a tourist attraction. After the movie was shot, the house was repainted, and is now grey and white. Too bad they didn’t keep the restored Queen Anne trim that covered the stucco in the movie. But, the house remains one of the most storied and interesting houses in the neighborhood. prospect park south. prospect heights very different. that's a typo in the blog entry. ^ Oops, shoulda realised that . 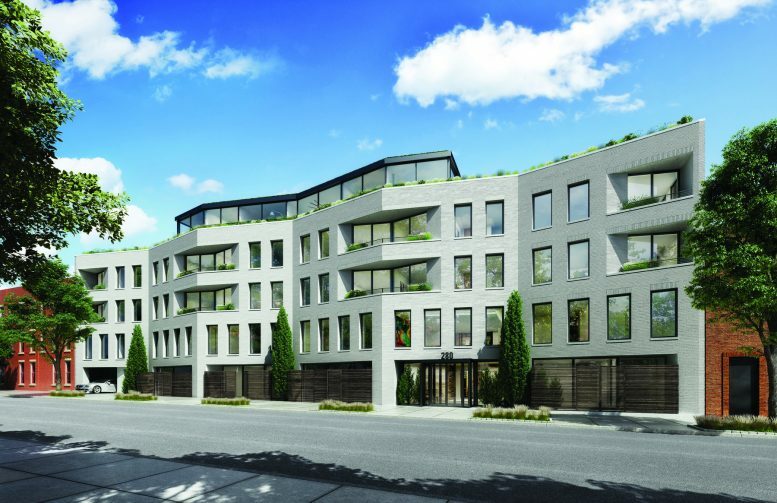 Construction is well underway on the façade and interiors of the five-story, 32-unit residential project under development at 280 St. Marks Avenue, in Prospect Heights. 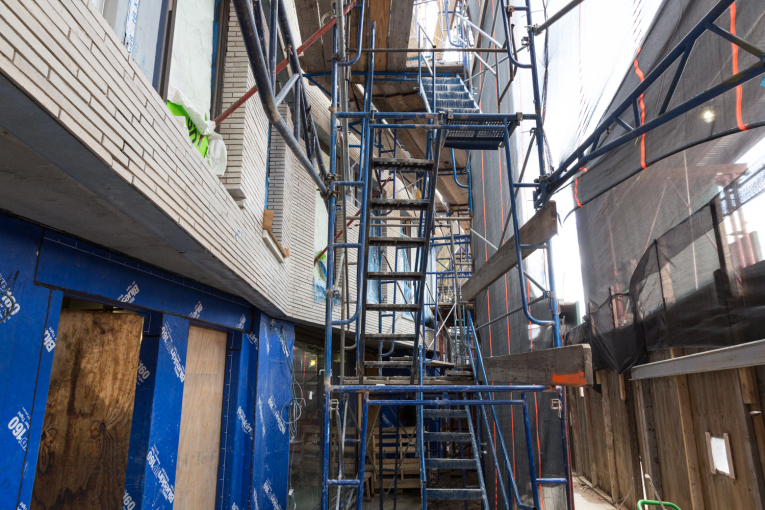 The latest progress on the structure was seen on a hard-hat tour attended by Commercial Observer. The latest building permits have the new building measuring 72,338 square feet and rising 50 feet to its main roof. The residential units, all of which are condominiums, should average 1,735 square feet apiece. Their configurations will range from one- to four-bedrooms. There will be a 34-car parking garage in the cellar, among other residential amenities. DNA Development is the developer and DXA Studio is behind the design. All of the apartments are in contract and completion is expected by May. custom handmade brick installed by expert masons.